Following the special post earlier this week taking a look behind the curtain at Hawker Restorations, a company responsible for the return to flight of most of the Hurricanes currently flying in the world, I wanted to update my record of airworthy Hurricanes. For the majority of this post I have focused on the aircraft currently flying in the UK, a subsequent post will cover those based around the world. 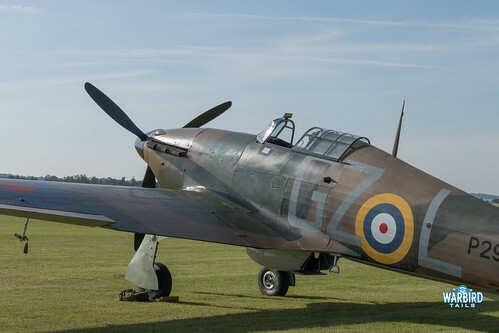 I’ve tried to include a brief history for each of these airframes alongside the images, for a wonderful, detailed account on every aircraft I thoroughly recommend the Hawker Hurricane Survivors book by Gordon Riley. A must read for any Hurricane fan! 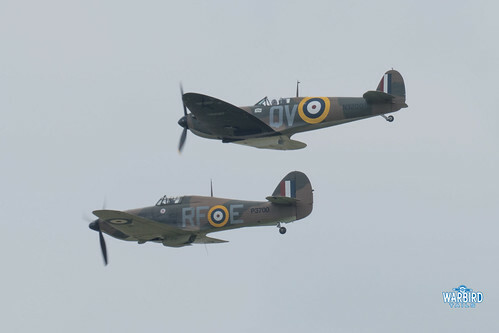 It seems a good idea to start with the Battle of Britain Memorial Flight’s pair of Hurricanes, as they have been the longest running operators of the type in the country. I’ll start with the last Hurricane ever produced, Mk.IIc, PZ865. ‘865 rolled off the production line in 1944 with the line “the last of the many” painted on the side. Hawkers bought the aircraft back in 1950. The aircraft was entered in a number of air races throughout the 50s. The aircraft was presented to the Memorial Flight in March 1972, since when it has been displayed in a number of wartime colour schemes, rotated every few seasons. The aircraft has always been a striking example of the type over the years, with the combination of 4 large cannons in the wings and a number of unique later war paint schemes. It currently wears the scheme of Flight Lieutenant Jimmy Whalen DFC’s Hurricane, marked EG-S. Whalen flew in South East Asia in 1944. BBMFs other aircraft, also a MkIIc, LF363, has had a mixed history. 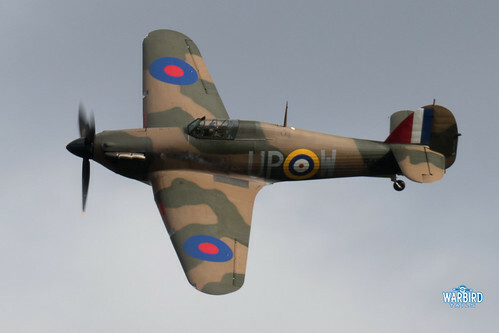 Another late war aircraft, first flying in January 1944, it is believed to be the final Hurricane to enter RAF service. 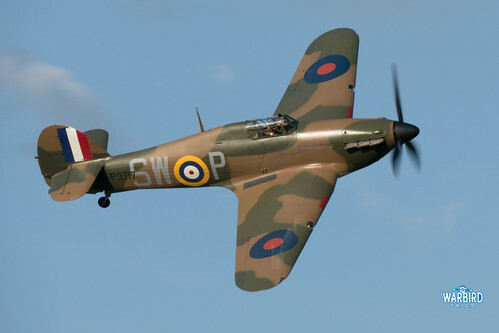 After being saved from the scrap man, the aircraft was put back in flying condition and led the Battle Of Britain fly-past over London in 1949. After a number of years moving between various squadrons, ‘363 became a founding aircraft of the Memorial Flight in 1957. 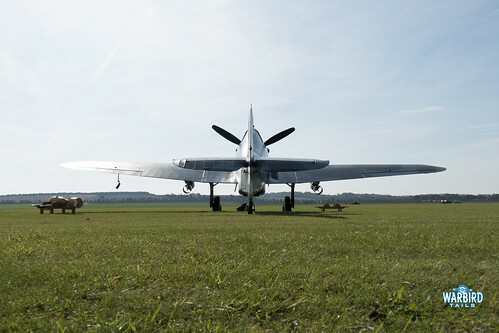 With the cannons removed, it was decided that this aircraft would always represent a Battle of Britain aircraft, while ‘865 represented the later war aircraft. Following a landing accident in 1991, ‘363 was out of action for 7 years until 1998 when the aircraft rejoined the flight. A regular presence on the UK display seen for over a decade now, Hurricane R4118 G-HUPW, remains the most historic Hurricane in the country. Not only is it restored to immaculate condition, ‘118 is also a genuine Battle Of Britain veteran. The aircraft flew 49 sorties during the conflict. After a series of rebuilds and reassignments in the meantime, The Hurricane was shipped to India to become a training aircraft. That was the plan at least; in reality ‘118 remained in the shipping container and was struck off charge in 1947. It was donated to a university and left outside in a dismantled state, where Peter found the aircraft in 2001. 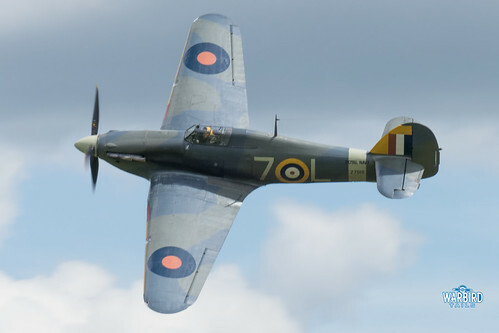 Over three years, the aircraft was painstakingly restored by Hawker Restorations and made its first flight at Cambridge airport in December 2004. 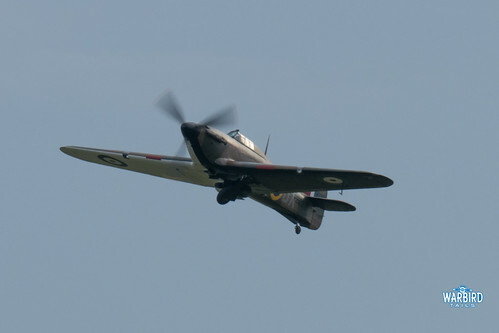 In the following 10 years the Hurricane has been a frequent performer at a number of airshows throughout the UK. 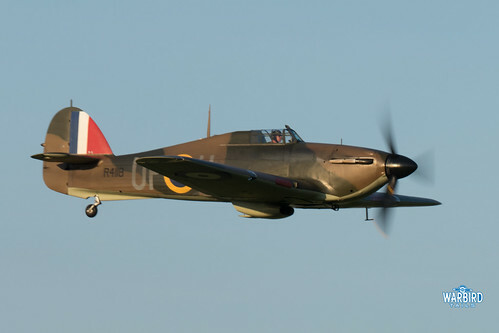 In 2015 the airframe changed hands being purchased by James Brown under the Hurricane Heritage banner. Hurricane Heritage have now operated the aircraft for two seasons with plenty of memorable displays including the incredible Hurricane 3-ship routines at Old Warden. 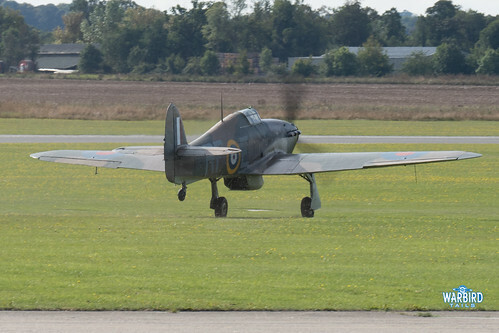 Another Mk.1 example of the Type is the Shuttleworth Collection’s Sea Hurricane Mk.1 G=BKTH. This carrier-based version of the Hurricane has the distinctive addition of a tail hook on the fuselage to aid carrier landings. Built in Ontario, Canada, Z7015 came off the production line in 1941. After a couple of years of wartime service the aircraft went to the Loughborough College as an instructional aeroplane. In 1961 the aircraft was transferred to the Shuttleworth Collection. After a number of attempted restorations, Z7015 finally took to the skies again in 1995 at Duxford. It has been a regular performer at Old Warden ever since, earning an impressive reputation for low and close displays over the years. It has been great to see the Sea Hurricane gain some playmates over the past couple of seasons making for some great Old Warden displays. P3717 rolled off the production line at Brooklands in 1940. 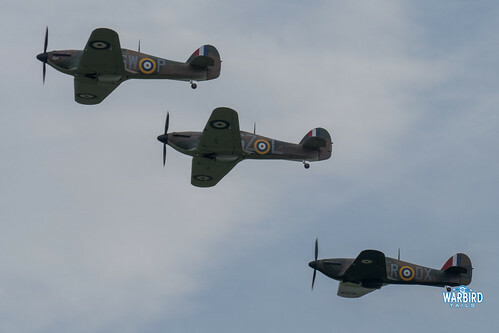 Following completion the airframe moved around squadrons as far afield as Scotland before ultimately ending up with 253 squadron at Kenley during the busiest days of the Battle of Britain. ‘717 would go on to see plenty of “Action” during the battle with 253 being a busy unit alongside flights later in the year with 257 squadron. By the middle of 1941 following a series of upgrades the airframe was sent to Russia having been brought up to Mk II standard. Ultimately P3717 would go on to be one of the almost mythical recoveries made by the late, great Jim Pearce. After the recovery the aircraft passed through private hands before being purchased by Hugh Taylor. Hawker Restorations completed the restoration in February 2015 and the aircraft was moved by road to Turweston. 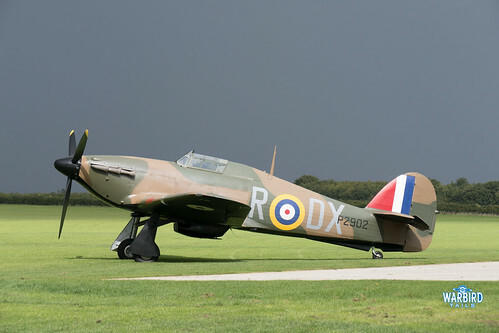 Over the next two years work was undertaken to prepare the Hurricane for flight and G-HITT took to the skies in May 2017 before subsequently moving to Old Warden to be operated alongside Hurricane Heritage’s R4118. It has been a wonderful treat to have this aircraft join the UK airshow circuit especially the graceful solo displays we have been treated to from Stu Goldspink at Old Warden. Returning to flight in January 2009, Hawker Hurricane MK.IIB G-HHII became part of Peter Teichman’s Hangar 11 Collection at North Weald. The aircraft also became the only flying example of a “Hurri-Bomber.” The Hurri-Bomber, was a modified version of the Hurricane capable of carrying two 250 or 500 pound bombs, they carried out flights over Europe during 1942 and ’43. BE505 was, like many of the current airworthy Hurricanes, was built in Canada, in 1942. The aircraft remained in Canada and was based there for the duration of the war. The aircraft is finished in the markings of Manston based BE505 of 174 Squadron. 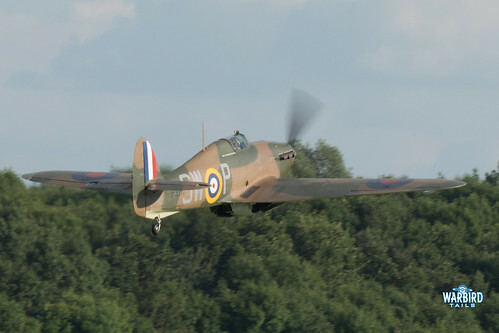 Like the rest of the Hangar 11 collection, the Hurricane is displayed regularly in a very spirited fashion, showing how impressive the Hurricane can be. Hurricane/Sea Hurricane AE977 G-CHTK was built as a Hurricane Mk1 in 1941, after transferring to the Royal Navy; the aircraft was converted to Sea Hurricane X standard. The aircraft was written off during the war and passed through a number of private owners, before ending up with the Freidklin family. The aircraft first flew in June 2000 following restoration at Hawker Restorations. The Hurricane was then shipped to Chino in 2001. After a number of years based at Chino, AE977 moved back to England, joining the Biggin Hill Heritage Hangar collection late in 2012. Its stand out airshow appearance since returning was undoubtedly as part of the Eagle Squadron tribute at Duxford in 2013. 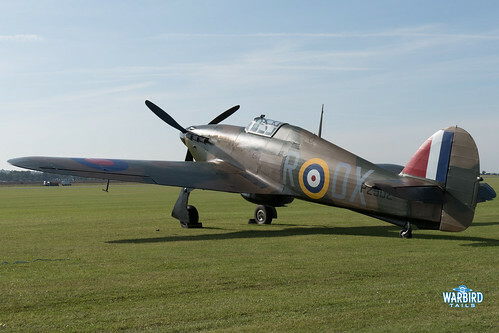 The aircraft was repainted into a Battle of Britain paintscheme in November 2014 ready for the 2015 anniversary commemorations. Another Canadian built Hurricane belongs to Guy Black’s Historic Aircraft Collection, based at Duxford. Painted as Z5140, G-HURI, a MkXII wears the colours of 126 squadron. Like the Hangar 11 machine, ‘140 stayed in Canada during the war as a training aircraft, before being struck of charge in 1947. 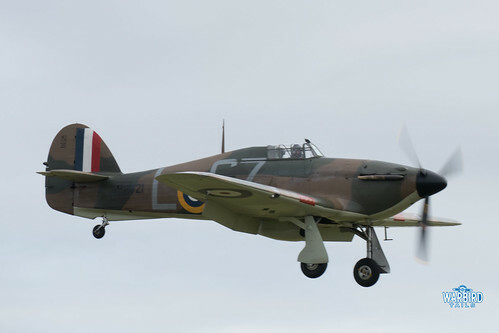 The Hurricane flew again in 1989, following years under the ownership of Stephen Grey; the Historic Aircraft Company acquired it in 2002. Following an 18 month overhaul, it was finished in the current scheme and has been a regular performer on the display circuit ever since. 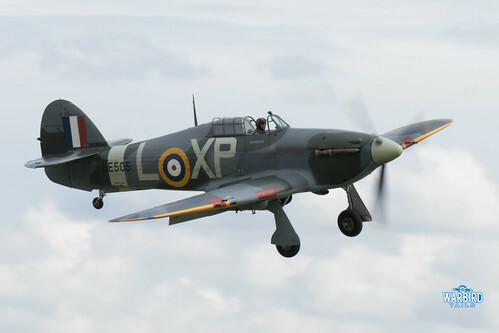 In 2006 G-HURI, along with HAC’s Spitfire Mk.V became the first spitfire and Hurricane to return to the island of Malta since the war as part of the “Merlins Over Malta” scheme. In 2015 the aircraft underwent a repaint which saw a transformation into P3700, an aircraft from Polish 303 squadron. Wearing the codes RF-E G-HURI has continued to perform regularly at airshows and in 2016 made the journey out to Poland to take part in the upcoming feature film covering the life of 303 squadron during the Battle of Britain. 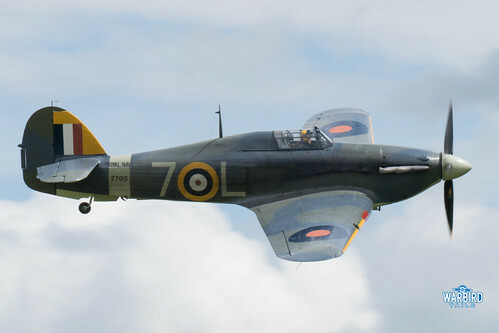 P2902 is the most recent Hurricane to take to the skies, having returned to flight at Elmsett in June 2017. ‘902 was built in early 1940 and joined 245 Squadron in May, who were usually based in Scotland. With the increasing threat of invasion the squadron were relocated to Hawking allowing their aircraft to assist with patrols over Dunkirk. Not long after arriving at Hawkinge ‘902 found itself above Dunkirk in the hands of Kennth McGlanshan engaging German Messerschmitt 109s. McGlanshan was injured in the ensuing battle and was forced to make an emergency land on the beach near Dunkirk. Luckily he was able to make it onto one of the many ships involved in the evacuation and get back home. The Hurricane wasn’t so lucky and remained on that beach until 1994 when the airframe was recovered back to the UK. Hawker Restorations carried out the restoration of this aircraft and following a change of ownership in 2016 before being completed at the company’s new home base of Elmsett. Flight testing was completed just in time for the 2017 Flying Legends show at Duxford which saw ‘902 make a memorable debut alongside four other Hurricanes. This Hurricane is owned by Anglia Aircraft Restorations and is based at Duxford and Sywell. Thanks for the plug for my book ! No problem – a lot of this was from memory but your book is such a wonderful reference for the detail on these aircraft. Wanted to point people in the best direction! 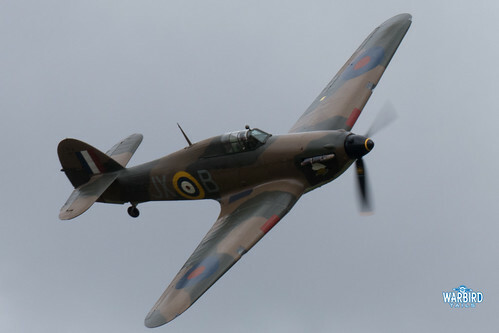 There are more flying Hurricanes in the UK now, than the Spitfires that the BoB had to work with in 1969.